HOUSTON (KTRK) -- Two explosions hit the Brussels airport on Tuesday morning and a third hit the city's Maelbeek metro station. American Airlines and United Airlines both sent out updates and statements on the attacks. American Airlines is taking care of our employees in Brussels after this morning's events. At this time, there are no reported injuries to our employees. American Airlines flight 751 has been canceled for today. When operations at the Brussels airport resume, we will re-accommodate our customers. Customers with flights to or from Brussels may call our reservations desk at +1-800-679-8215 to get the latest information on their flights. In Belgium, customers may call (+32) 070 300 300. The United family is deeply saddened by the tragedies in Brussels earlier today, and our thoughts and prayers are with the victims and their families. The safety of our customers and crew remains our top priority, and all of our employees are safe and accounted for at this time. We had two arrivals at Brussels International Airport this morning. Flight 950 from Washington Dulles arrived at 7:01 a.m. and customers deplaned normally at the gate. Our second flight - flight 999 from Newark Liberty - was rerouted to a remote location and our customers and crew have deplaned. All remaining flights to and from Brussels International have been suspended until further notice from local authorities. We will share additional updates as soon as we are able. 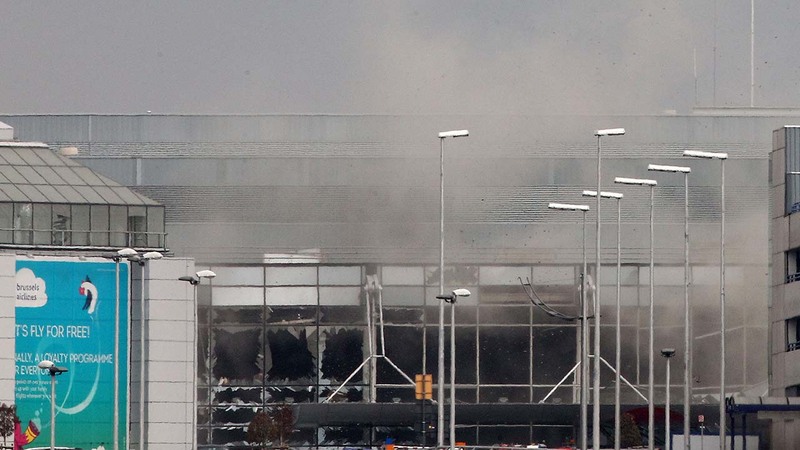 This morning two explosions have been reported in the departures area of Brussels Airport in Belgium. The airport has been evacuated and is now closed with local emergency services onsite. Local leaders have confirmed the safety of all crew members and ground employees. The Delta Airport team is in the process of confirming the safety of all customers. Delta's flight DL80 from Atlanta to Brussels has landed safely at the airport and is parked remotely, with the local team working on plans to safely deplane passengers to a secure holding area. Delta's flight DL42 from New York to Brussels has been diverted to Amsterdam. If you have any questions or concerns CLICK HERE to check your flights.